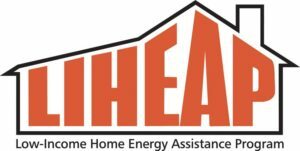 The subsidy portion of the Low-Income Home Energy Assistance Program (LIHEAP), administered by Big Sandy Area Community Action, will end this Friday, December 15th. Low-income individuals and families in need of assistance should visit the Community Action office in their county before 4:30 p.m. on Friday. Big Sandy Area Community Action Program (BSACAP) will be taking applications for the Crisis component of the Low-Income Home Energy Assistance Program (LIHEAP) beginning Monday, Jan. 9, 2016. Applications will be taken on a first-come, first-served basis until March 31 or until funds are exhausted. • the household’s home heating costs are included in the rent and the household has received an eviction notice for non-payment of rent.